This article is brought by Ashley Taylor of Greg Malloy Hairdressing Penrith. This month she talks through bridal Hair and the many choices brides face preparing for their big day. This season has exploded with weddings in the Lake District and people are coming from far and wide to marry in Cumbria’s beautiful churches and exquisite hotels. This year yet again there is a shift in bridal hair design. For years I have had numerous brides recreating the Kate Middleton wedding style which was simple and elegant, however not always compatible with Cumbrian weather! 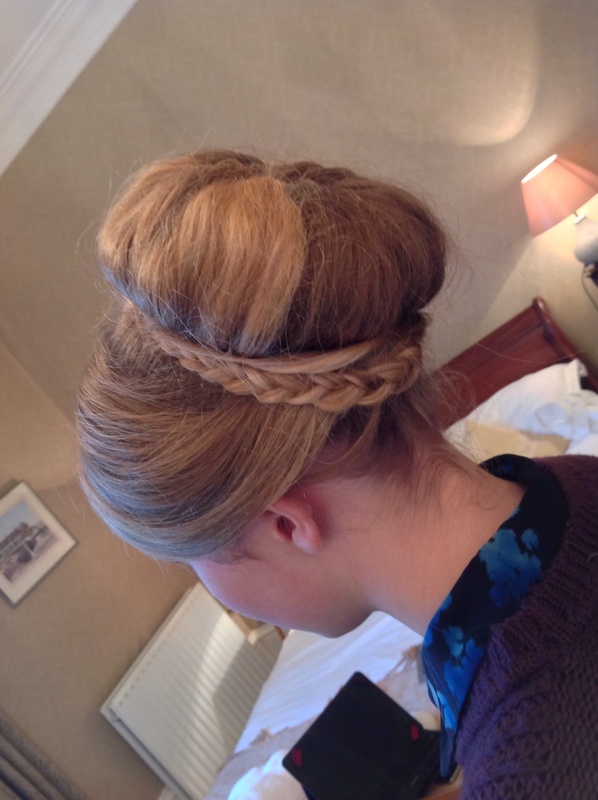 This year the move is more towards “hair up” and this for me is much more suited both the weather and the busy and often stressful situation of a wedding day. Brides need to consider where photos are being taken, if outside will you want to be panicking about your hair flying around in the breeze? Are you commuting from one venue to another which again can affect the longevity of the hairdo? Is there a veil and are you going to wear it all day or not? Many of my past and future brides venture onto a boat as part of their day. This is lovely …but…you may look like you have been dragged through a bush by tea-time! Then there is the dress. The neckline will dictate the hairstyle and a brides physical attributes will also affect this. 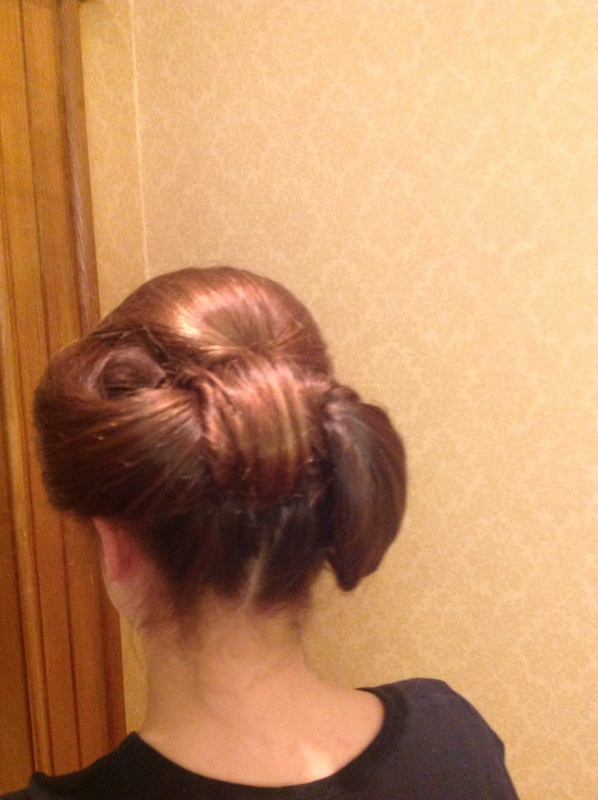 For example a bride with a nice slim neck and shoulder line will want to wear her hair up to accentuate these features. You can soften the look with dropped pieces of hair around the face and neck. Smaller brides may want hair placed higher on their head with detail at the top to lengthen their whole image. This year there is a move towards hair braids and hair twists. This is a much softer and more bohemian look and works really well for people who prefer less structured looks and a more natural approach to their image. I think this works well with flowers in hair and even ribbon/material woven through the hair. Many with this look will opt for detailed clips/flowers or flatter less bulky headpieces as this image doesn’t always work with large tiaras which are more suited to more classical bridal styles. I would always advise a practice as it really puts a bride at ease to know what she is having and also to check tour initial hair plans are suited to you, your dress and plans for the day. As with dress hunting, people have ideas of hairstyles that don’t work when sampled! Brides often end up having a style that they didn’t think they would as tastes change once you start experimenting with styles and this is why a practice is very important. It is important to get it right for you as you will have to view these pictures for years to come and want to know that you won’t wince at your choice of style after a few anniversaries! Categories: hair advice, hairdressing, pin ups, weddings | Tags: armathwaite hall hair, askham hall hairdresser, best hairdresser lake district, best hairdresser penrith, best wedding hair cumbria, cumbria, cumbria hairdresser, greg malloy, greg malloy hairdressing, hairdressing, hotel hairdresser cumbria, Inn on the lake glenridding, inn on the lake hair, Inn on the lake hairdresser, Inspiration, lake district hairdresser, penrith hairdresser, sharrowbay hotel hair, top hairdresser, wedding hair, wedding hairdresser cumbria, wedding hairdresser lake district, wedding lake district hairdresser, wedding stylist, Weddings | Permalink. Thanks to all the models for today’s wedding event. You were wonderful!! Categories: hairdressing | Tags: cumbria weddings, greg, greg malloy hairdressing, lake district hairdresser, morland hall, morland hall hairdresser, penrith hairdresser, penrith weddings, wedding hairdresser, Weddings, weddings morland hall | Permalink. I am now knee deep in wedding season and would like to wish all the best to my brides this week. I have a few wedding tips and trends to share this week based on my recent wedding hair experiences. Jewelry is becoming much more popular and I am increasingly pinning in necklaces (as something old or borrowed) and broaches. This weekend I worked with some fabulous headlaces designed to sit at the temples, they were very Kim Kardashian and looked beautiful and very original. Also my top tip for hair accessories is to try your local haberdashery store to find buttons that can be easily looped onto grips and popped into wedding hair. 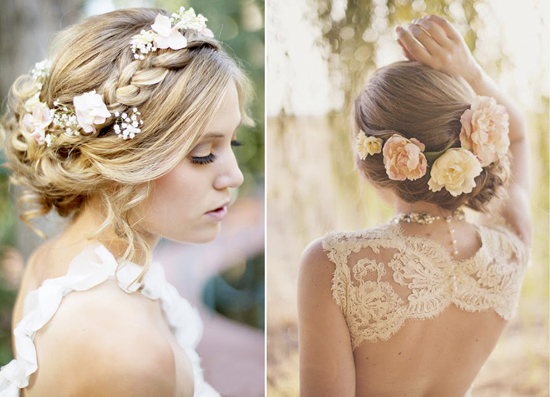 They will have a selection and they are much cheaper than other shops that sell wedding hair accessories!! I hope this gives prospective brides some inspiration. Happy wedding planning!!! Categories: celebrity hairdresser, hair advice, hairdressing, pin ups, weddings | Tags: advice, Alterna, Bride, cumbria hairdresser, hair advice, hair penrith, hairdressers, hairdressing penrith, Inspiration, Kim Kardashian, malloy, penrith, penrith wedding, stylist penrith, wedding hair, wedding hair penrith, Weddings | Permalink. 6.30am, lovely day for a wedding! Off to see todays bride and want to wish Susan and her future hubby all the best!!! We will come to you anytime anywhere for your wedding requests. 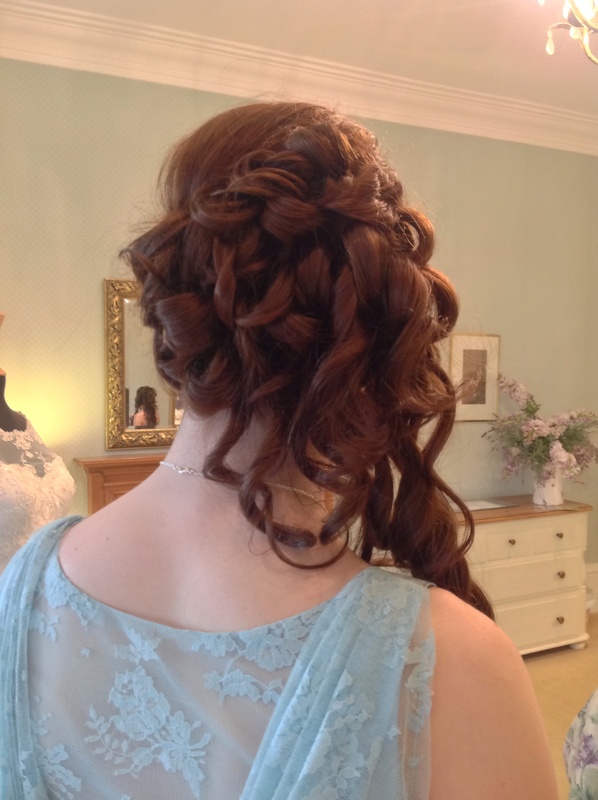 Categories: hair advice, hairdressing, pin ups, weddings | Tags: cumbria, cumbria hairdresser, Hair, Hairdresser, morning weddings, penrith, stylist, stylist penrith, wedding hair, wedding travel, Weddings | Permalink. Greg Malloy Hairdressing is in love with babyliss new pro curl machine!! Fabulous results and a must for all girls who love curls, amazing! Categories: celeb hair!, curly hair, hair advice, hairdressing, pin ups, weddings | Tags: babyliss, cumbria, cumbria hairdresser, Hair, hairdressing, Hairstyle, penrith, trendy, Weddings | Permalink. If you are lucky enough to be tying the knot this year then your hair is at the forefront of your mind if its not then it should be. Here are a few suggestions to get your hair in optimum bridal condition!!! Keep it well conditioned, use more than usual leave it on a fraction longer and maybe treat yourself to a new treatment to use weekly to fix and restore your hair. (for really chemically damaged in my view the best is Alterna protein repair masque RRP £42) A lighter option Bamboo moisture masque from Alterna. These are all sulphate free products and protect colours from fading also. Get it trimmed!!!!! many prospective brides try to avoid haircuts but the honest answer is it will grow but the ends will be tatty and frizzy if they have not been attended to. Practice your bridal style with your stylist so that you can relax knowing how it will all look on your big day!! Good luck and enjoy your weddings!! Categories: hair advice, hairdressing, weddings | Tags: Alterna, Bride, cumbria hairdresser, Hair, Hair care, Hairdresser, Inspiration, penrith, wedding hair, Weddings | Permalink.